You are on your way to tying the knot with the love of your life. Congratulations! You are probably neck deep in wedding planning. From the dress, to the caterers, to the flowers, you have so much to do. It’s easy to get overwhelmed, but don’t let this distract you from the details. Once you plan the big stuff, it’s time to focus on the little stuff. These details are what will make your wedding memorable…for your guests and you. 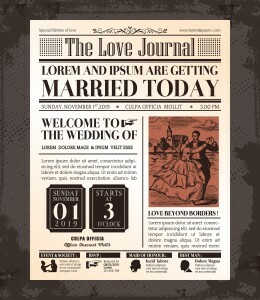 A perfect detail is a wedding newspaper. These newspapers are a great way to chronicle the highlights of your relationship. You can share big events, random facts, and things that you love about one another. Whatever you want to include! 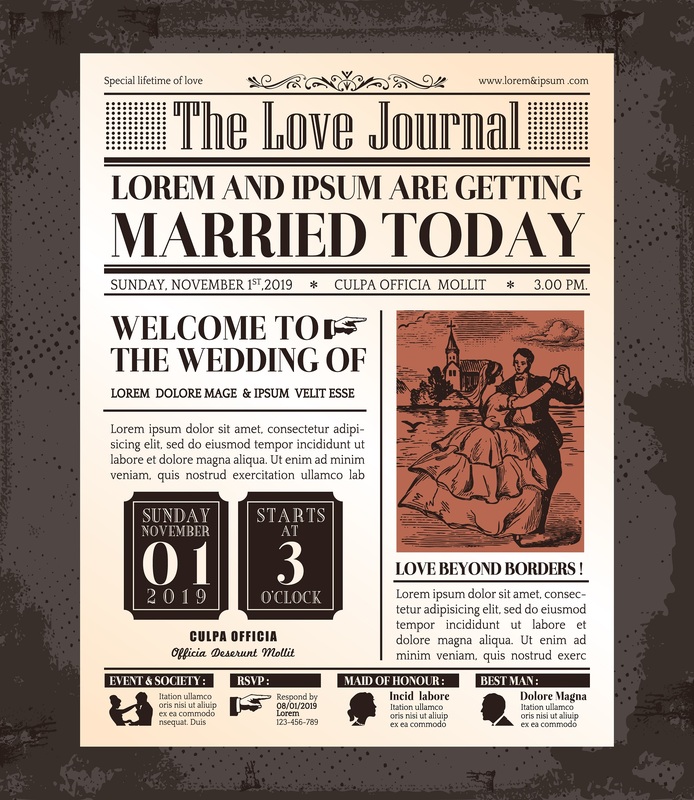 You can use these as programs or just fun extras at your reception. Including fun little games like “spot-the-difference” pictures or Sudoku will also give your guests something to do if they need to wait for the ceremony or reception to begin. When you are looking for a newspaper printing company, you will want one that you can count on. You have enough on your plate without having to babysit printers. Choose Park Press for quality results that you will treasure for a lifetime! Call or visit our website to get your free quote today!